Who doesn’t love some extra cash? 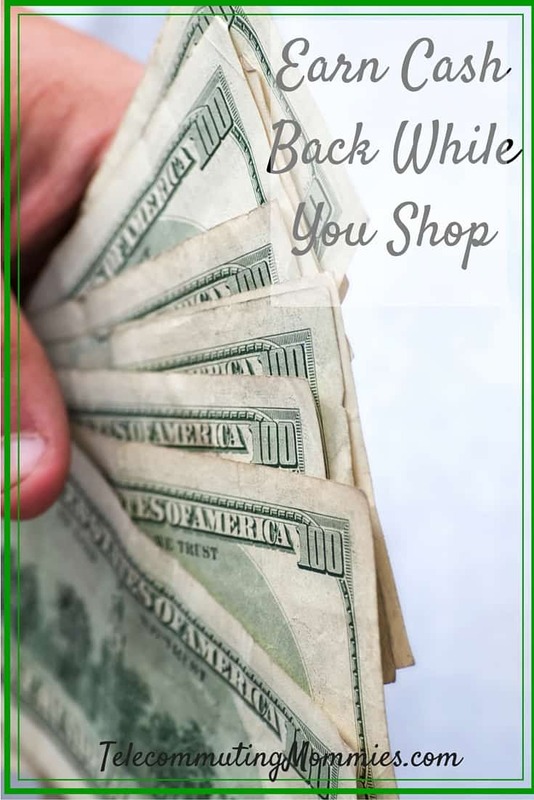 While spending money is sometimes necessary, there is no reason why you shouldn’t use these tips to earn cash back while you shop. Do all of your online shopping through Ebates. If you have a purchase you need to make online anyways, then why not click through the Ebates site on your way there and earn cash back on your purchases. With the wide variety of stores available on the Ebates website, you are sure to find plenty of places to shop and the cash back adds up quickly. If you do not have an Ebates account you can join now and get a $10 cash back bonus. Our family likes to stay debt free but we do use credit cards in order to earn points or cash back on our purchases. Research what credit cards offer the best deal for your family. CreditCards.com is a great place to compare credit cards before applying. If your family travels a lot, one with points that can be redeeemed for travel might be best while other families may just prefer the annual check for cash back. I know many of you already use Swagbucks. Did you know you can shop through the Swagbucks website by clicking through to your favorite retailer and earn points? Those points get combined with any other points you earn through the site and can be redeemed for gift cards for your favorite retailer.If you don’t have a Swagbucks account, sign up for one now and earn 150 Swagbucks to get you started and earn cash back while you shop. For shopping in person, use apps like Ibotta or Shopkick to earn cash back on your purchases. These apps are easy to use and earn you cash or gift cards. Ibotta can also be used for shopping online and can also be used in combination with the Walmart Savings Catcher App below. Shopkick earns you points just for walking into a store as well as for making purchases or scanning products. Do your grocery shopping at Walmart and use their Saving Catcher App. Simply scan your receipt after you make your purchases and the app compares prices from top competitors in your area for advertised deals. A couple days later the app will show you a credit for the difference that can be used as a Walmart gift card. Do you have some favorite ways to earn cash back while you shop?